Happy Thursday! I must admit that I have been out of sorts lately. Finally things are seeming to calm down. We've finally moved and are starting to settle into our new house. 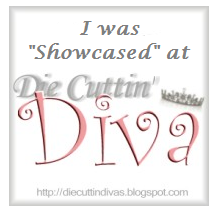 With that said, I'm trying to give my blog and my bloggie friends some much needed love. 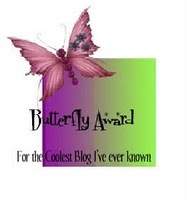 I have three awards that I have yet to acknowledge so, today I say thank you to my lovely scrappy friends. May God bless and keep you! Here are the awards and the completed requirements. Name your favorite song? ~ I have a ton of favorites so it's very hard to pick just one. What worries you off at the moment? ~ I try my best not to worry about ANYTHING. Sometimes that means nothing. LOL!!! What is perfection? ~ Doing the best that YOU can do! When you're upset you? ~ Clean profusely. Given to me by the lovely Fran! Please hop on over and show her some love. She has a wonderful blog and I know you'll love her heart. 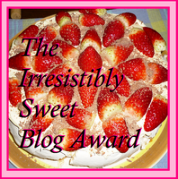 As part of the award, I must share 7 random things about myself and pass it on to 8 of my bloggie friends. 1. I used to play the violin and piano. 2. I played the lead role in the musical "Coming of Age" when in the 7th grade. 3. One of my favorite movies is Crash. Congrats on your awards! It sound like you and I are in the same boat about feeling out of sorts. It is talking me way too long to get back into the groove of things. How exciting though, a new home! :) Many blessing, happy memories, and love in your new home.